Groove Width 24mm / 1"
Fit Rope Dia.(Max.) 6mm / 0.24"
Stainless Steel . 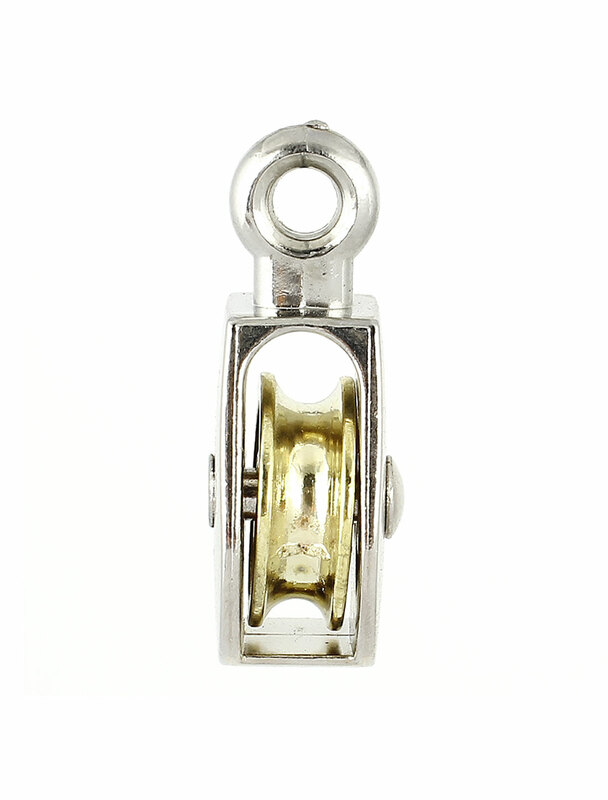 Single Sheave Fixed Eye Rope Pulley . fixed top for ease of rope handling, smooth roller provides great rope traverse. Groove Width : 24mm / 1";Fit Rope Dia.(Max.) : 6mm / 0.24"